The ATO 1000-50000mm draw-wire displacement sensor has a small mounting size, compact structure and high precision. Its measuring range can be 1000mm/2500mm/5000mm or even 50000mm. This draw-wire displacement sensor is particularly suitable for linear rolling guide system, hydraulic cylinder system, testing machine, telescopic system (forklift, press, lifter, pipe bender, bending machine, etc), crane or cable winch, reservoir dam protection system, gate opening control system, pressure machine, hydraulic universal experimental machinery, warehouse location position, length and displacement measurement and position control of various industrial instruments. ATO AC gear motor is composed of a single phase AC torque motor and a gearbox, which has high starting torque and sloping characteristics, allowing speed control simply by changing the voltage of the power supply. The special rotor provides excellent performance for holding, winding, andtensioning applications. Next, we will introduce how to wire and test a ATO AC torque motor with gearbox? Generally, the wiring principle of brushless DC motor is basically similar. Next, we choose the model ATO-BLDC-40030 of ATO high torque BLDC motor and its matching controller ATO-BLDC-TH-G as examples to show you how to connect the motor to the controller and make the motor rotate. The lightning stroke discharging between the cloud layer and earth is constituted by one or several individual lightning. Every lightning carries several currents with very high amplitudes and short duration. One typical lightning discharging shall include two or three lightning. There is about an interval of 1/20 second between two lightnings. Most lightning currents drop in the scope of 10, 000~100, 000 Amp, and its duration is generally lower than 100ms. Because of the operation of high-capacity equipment and frequency conversion equipment in the power supply system, an increasingly serious interior surge problems have been generated. We conclude it into the influence of transient overvoltage (TVS). Any power equipment has the allowed scope of power supply voltage. Sometimes, even very narrow overvoltage impact might damage the equipment power supply or entire equipment. The destructive effect of transient overvoltage (TVS) is just like this. In particularly, as to some sensitive microelectronics devices, some very low surge impacts will probably case fatal damage. In primary treatment, the suspended solid pollutants in the sewage will be removed, and most physical treatments can only meet the requirements of primary treatment. After the primary treatment, 30% BOD can be removed from the wastewater. It doesn’t meet the emission standard. Primary treatment is a pre treatment of secondary treatment. In secondary treatment, colloid and dissolved organic pollutants (BOD, COD) in the waste water will be removed, and the removal rate can be higher than 90%. The organic pollutants meet emission standards. Use pH meter to monitor whether the emissions of organic pollutants are up to standard. In tertiary treatment, non biodegradable organic pollutants, N, P and other soluble inorganic substances that lead to eutrophication of water bodies are further processed. Main methods are biological nitrogen and phosphorus removal method, coagulant sedimentation method, sand filtration method and activated carbon adsorption method. Automobile image sensing has a wide range of applications, the image sensor with excellent performance and advanced image processing capability can enhance driving safety and improve users’ riding experience, it has become a popular technology in the automotive field in recent years. Automobile image sensors has extensive applications, including the visual application, such as the Rear View Camera, front/rear/ overlook/ panoramic parking image, mirror replacement, passenger monitoring, fatigue driving monitoring, dashboard control, DVR, gasbag; advanced driving auxiliary system (ADAS), such as forward collision warning, lane departure warning, automatic long light control, traffic signal recognition, pedestrian detection, adaptive cruise control, blind spot detection, night viewing. It can restrain harmonic current, improve power coefficient, weaken surge voltage in input circuit, the impact of current on VFD, the influences of power voltage, limit current surge caused by grid voltage change and switching surge, spike pulse or voltage defects in phase change of rectifying circuit, effectively protect VFD and improve power coefficient. Input line reactor not only can stop the disturbance from power grid but reduce the pollution of power grid by harmonic current produced by rectifying unit. Humidity sensor is widely applied in many fields, particularly in the fields that record the temperature and humidity changes in real time. The temperature and humidity sensor can scientifically and effectively manage, analyze and summarize the recorded contents. It's another area for the application of temperature and humidity sensors. The archive papers can be kept for a longer time at a suitable temperature and humidity condition, once the temperature and humidity condition is changed, the paper will be crisp, important materials will also be lost. So it’s necessary to record the temperature and humidity of the archives, prevent the occurrence of malignant accidents. Application of temperature and humidity sensors simplifies the temperature and humidity record, saves the cost of cultural relics preservation and makes the work more scientific, prevents it from being disturbed by too much human factors. When a new system is used for the first time or the meter, sensor is replaced, calibration must be made before use. There are two kinds of calibration in general, one is the physical calibration (in this mode, two points needs to be calibrated, namely the zero position and the range), and another is the digital calibration. Physical calibration is applicable for most weighing systems, and digital calibration is used in the fields when the physical demarcation can't be used. However, digital calibration can't eliminate the errors, its accuracy is related with the sensor’s sensitivity, range and wiring system (four-wire or six-wire), the division value or maximum range setting, as well as the signal loss on the junction box and cable. The scale division and maximum range shall be set before calibration. Before calibration, the instrument shall be powered on for at least 15 minutes until the sensors and meters reach the thermal equilibrium state. The planetary speed reducer or gearbox is a kind of transmission mechanism. It utilizes the speed transducer of the gearbox to reduce the turnover number of the motor to the required one and obtain a big torque. How does a planetary gearbox work? We can learn more about it from the structure. The main transmission structure of the planetary gearbox is planet gears, sun gear and ring gear. Stepper motor is an open loop control element that transforms the electrical pulse signal into angular displacement or linear displacement. When a pulse signal is added to the motor, and the motor turns a step angle. The existence of this linear relationship, and stepper motor with only periodic error and no accumulated error, makes it widely used in various fields. This article describes the application of stepper motor in electronic clocks, industrial robot and packaging machine. The fluid dispensing machine can be used for adhesive application in most industrial fluids. Most of fluid dispensing machines use stepping drive system, which has low working efficiency and cannot meet manufacturing requirements in some conditions. Using high quality dispensing system can avoid the impacts on quality and productivity of products. Therefore, based on the advantages, AC servo system with motion controller applied to the fluid dispensing machines to improve the quality and efficiency. Rewinding machine is widely in the re-winding operation and inspection operation of the material in plastics, printing, composite, coating, bag making, and coating film. With double servo automatic tension control, it can operate in the positive and reverse direction. At the same time, it has the fixed point memory stop function, which can quickly reverse to the defect position. The equipment is composed of the unreeling mechanism, take-up mechanism, deviation rectifying device, material delivery guide roller, photoelectric device, tension detection, synchronous strobeflash, length detection, operation interface, electrical control and other parts. Industrial sewing machine control system is a comprehensive and strong technology, which involves many aspects of knowledge, such as the principles of mechanical and electrical equipment, operation technology and so on. As the core running component in industrial sewing machine, the servo system plays a key function in running of this equipment. This control system mainly includes special controller, AC servo system and stepper motor system, in which the controller mainly consists of main control board and two step drive boards. So it can directly sends pulse to control stepper motors in axis-X and axis-Y, while the needle is controlled by servo motor through needle bar directly connected with coupling. With global environmental crisis becoming intensified, energy saving and emission reduction has become one target of the automobile industry. Resistance welding and car body manufacturing is inseparable. Depending on its characteristics like wide speed regulation ratio, big rotational torque and high accuracy, resistance welding machines pressed by servo motor plays an important role in welding. It can improve control over welding force and realize accurate control over depth of fusion of welding force and welding points. In addition, servo motor itself has favorable dynamics and it can improve speed from zero to rated speed in several seconds. With its advantages, servo motor has a successful application in resistance welding machine. 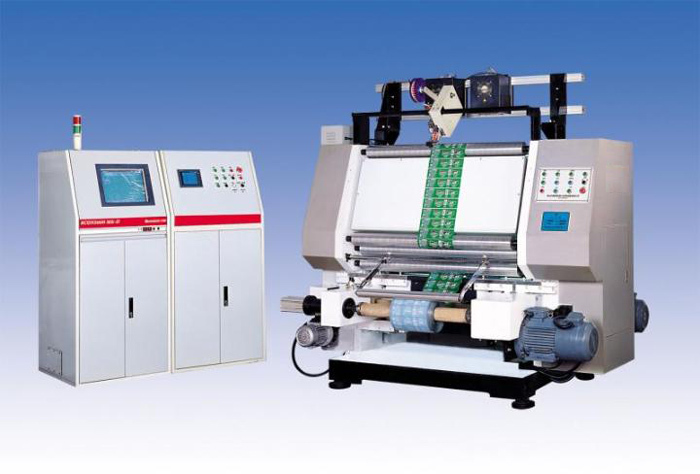 Computerized embroidering machine can realize traditional manual embroidery with high speed and high efficiency, and meet the requirement of multi-level, multi-function, unity and perfection which is out of reach of manual embroidery. Servo motor via its advantages plays an important role in various embroidery machines, to make sure the high quality in products. Marketing of stainless steel servo motors can help producers of the food industry improve design of hygiene machine. Stainless steel servo motor can reduce extra hardware and improve cleanliness, reliability and performance of machines at the same time. The motors adopt smooth and round design which is easy for cleaning, since meat and fluid will not easily gather in surface. The motor is made of grade-300 stainless steel and it will have special treatment after finishing components to remove impurities and further improve corrosive protection performance. In addition, cable outlets of motors are sealed when they leave factory, which can improve product reliability to the utmost extent. Water jet, also called high pressure water jet cutting technique, is a special cold cutting and can realize cutting processing of any curves. Now it is widely used in industries like aviation, automobile, stone material, glass, metal, concrete and so on. Servo system takes its own advantages to the application in water jet cutting, which brings a lot of benefits, like high efficiency, low consumption, high cutting precision and high rate of finished products. It is well known that torque of stepper motor is big in slow speed but it will drop sharply after it reaches above 600RPM, making stepper motor cannot be applied on occasions with high speed motion. Moreover, since positioning defects of stepper motor when it stop working will cause location errors, it cannot meet requirements of modern inkjet printers on high speed and high efficiency any longer. However, servo motor has characteristics like rapid response, high speed and high positioning accuracy, thus modern inkjet printers generally select motors of this kind as cloth feeding motor and small panel control motor, thus forming the situation of the high and medium-end market which centers on alternating servo motor system. CNC Bending Machine is a machine to process metal plates and it mainly uses hydraulic system to blend panels into different shapes. In view of defects of the hydraulic system of traditional bending machine and characteristics of forming techniques and processes of equipment, it adopts servo drive, servo motor, and gear pump to adjust control system of flow and pressure of hydraulic system, which can reduce system energy consumption and temperature-rising of hydraulic oil, and improve operational reliability of equipment at the same time.